There have been great advances in computers and automation but Industry 4.0 is the dawn of an age where they are being used together in an entirely new way. Robotics are remotely connected to computer systems, these are set with algorithms that allow them to learn. This enables the computer to essentially control the robotics. This reduces the frequency that human interaction is required. The concept is changing the face of the factory floor and the term ‘smart factory’ has been coined as a result. In a smart factory, the cyber systems installed are able to oversee the processes within the factory and make simple independent amendments when necessary. In other words – these machines can think and make decisions! The Internet of Things within the factory, communicate and work together as well as communicating back to the people managing the system through the wireless network. All of the elements within the system must be able to connect to one another and converse. The system must be able to actively and effectively communicate in real time with the human managers. The systems are able to simulate the physical world by collecting data through sensors. The virtual copy they create enables them to understand put any further data they collect into context. They provide technical support to the people making the more complex decisions and problem solving. The computer systems are able to collect enough information to make simple, decentralised decisions. As with any online technology, there will always security issues regarding data. The model is quite new and ensuring that the systems are reliable and stable requires on-going development in the industry. As with any revolution, there is constant progress being made and cyber-physical communication is becoming consistently more dependable. There is also the ethical dilemma of replacing paid jobs with automated systems and any potential damage to the economy as a whole that these changes can create. There is employment available in the creation and implementation of these systems but currently, there is a lack of specialists as the concept is still relatively new. The traditional factory that the ‘smart factory’ is replacing can be hazardous places to work. The flexibility of these robotics have the potential to improve the health and safety of the people who are still working on the shop floor. Another benefit is the huge amount of data that the computer systems collect at every stage of the manufacturing process. The data informs any changes to the supply chains and therefore the efficiency is improved greatly. This means that businesses will see an increase in productivity and revenue and a reduction of waste which is good for the environment. Is Industry 4.0 Already Here? Yes, absolutely. 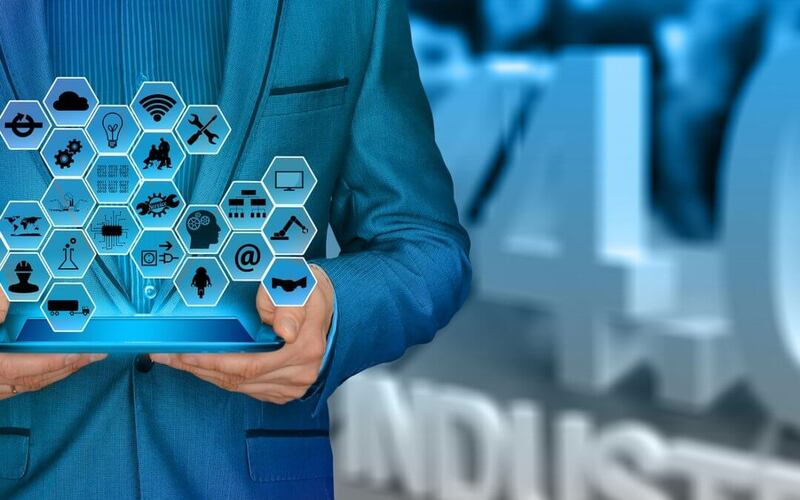 Industry 4.0 principles are being applied in emerging markets such as India and in Ohio, Cincinnati is officially an ‘Industry 4.0 demonstration city’ and has had huge investment and industry boom as a result. Here in Britain, Industry 4.0 is changing the world of manufacturing and creating a more competitive and innovative market. Those who are part of it are very excited by the opportunities it presents. The Industry 4.0 revolution is here.